Artist’s concept of the US-European Asteroid Impact and Deflection mission (Credits: ESA). The European Space Agency (ESA) plans to send a pair of spacecraft to a nearby asteroid to investigate potential asteroid deflection methods. 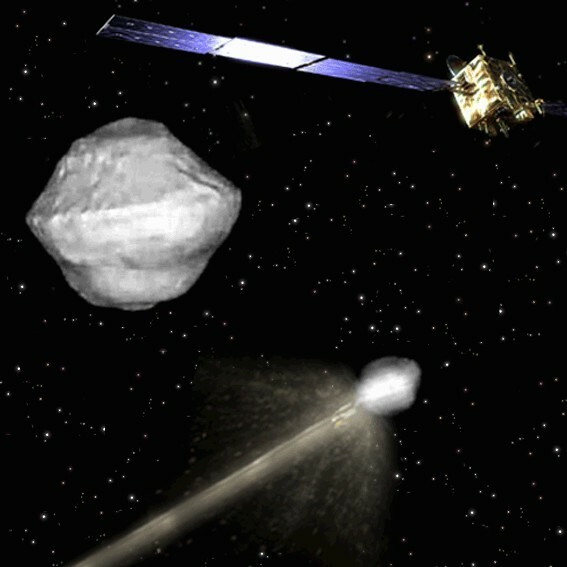 The Asteroid Impact and Deflection Assessment (AIDA), a part of ESA’s Space Situational Awareness (SSA) program will send Double Asteroid Redirection Test (DART) and Asteroid Impact Monitor (AIM) to the asteroid 65803 Didymos, which is actually a binary system, with one smaller mass orbiting a larger one. DART would collide with the smaller of the two asteroids, which is 150 meters (492 ft) in diameter, while AIM would monitor the impact and possible deflection of the asteroid. 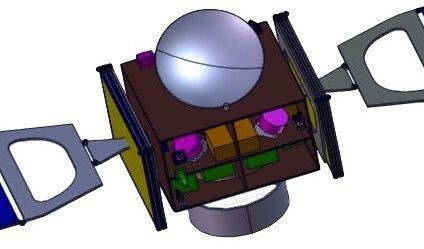 Johns Hopkins’ Double Asteroid Redirection Test (DART) spacecraft (Credits: Johns Hopkins University). DART is being designed by the Johns Hopkins Advanced Physics Laboratory in the US, with support from NASA, and AIM is being designed by ESA. DART would collide with Didymos at 6.25km/second hypervelocity speed, and would vaporize and turn into plasma. At such a high speed, the force generated at the impact is hard to predict and so too the degree of deflection. The reason for choosing a binary asteroid pair as a target makes measurement of the deflection easier since it is expected to change the rate at which they revolve around their center of mass. It has been predicted that the asteroid would deflect about 0.5 to 1 percent. ESA’s Asteroid Impact Monitor (AIM) craft (Credits: ESA). While the asteroid Didymos does not pose a threat to Earth, the main objective of the mission is to evaluate possible methods of asteroid deflection in preparation for preventing a future Earth collision. ESA says that the AIDA project would also provide insights into the history of the early Solar System and the threat posed by space debris. 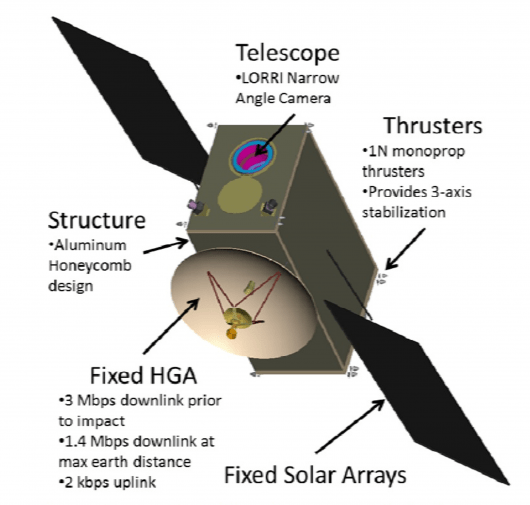 ESA is seeking suggestions for additional experiments they can do with the AIM spacecraft.